Welcome to Community Computer Services. We are a father & son local small business. We have been in Alexandria for over 25 years. We take personal pride in treating our customers the way we would want to be treated. We have been repairing desktops, and laptops every day since 1993. Chances are we have seen your same computer problem thousands of times. We have the expertise, and knowledge to fix it right, and quick. We usually have them done same day or next day. Computer repair, sales, upgrades, motherboard troubleshooting, hard drive repair, lcd replacements, virus removal, and much more. We have many parts in stock to save you days of waiting for repairs. We also sell high quality used desktops, and laptops. 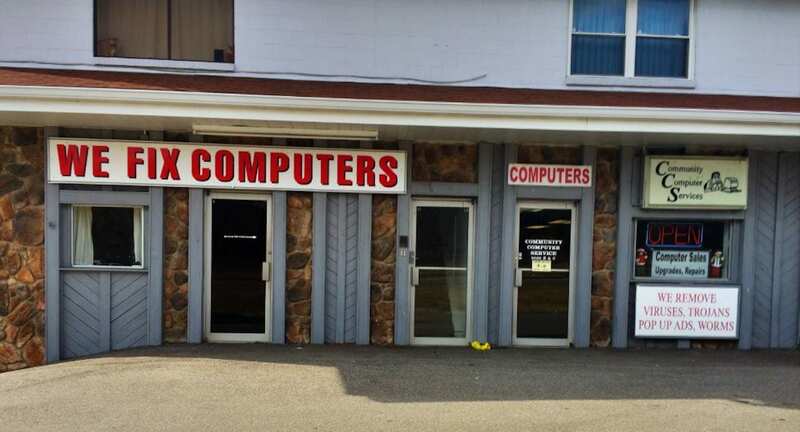 We have managed to stay in business for 25 years by selling only the best of computer desktops, and laptops. We sell high end business grade systems. There are so many cheap computers being sold these days, but that is not how we do business. Check out our amazing high quality systems. We are open Mon – Fri 10am-6pm. Call (859) 635-9909 anytime.